Elecampane plant, Inula helenium, is a rich source of inulin and alonton. Traditional use in Europe of the root as a cooked vegetable and as a flavouring in liqueurs. Elecampane is sometimes called Horsetail or Elf Dock. The octopus like roots are bitter and antiseptic and utilised as a cough and lung remedy. Elecampane is also the source of a smoothing massage oil. Elecampane plant is a native of Europe and prefers moist, well drained soils in a protected, sunny position, may be grown in partial shade. Handsome, giant yellow flowers appearing in summer. Frost resistant but drought tender. 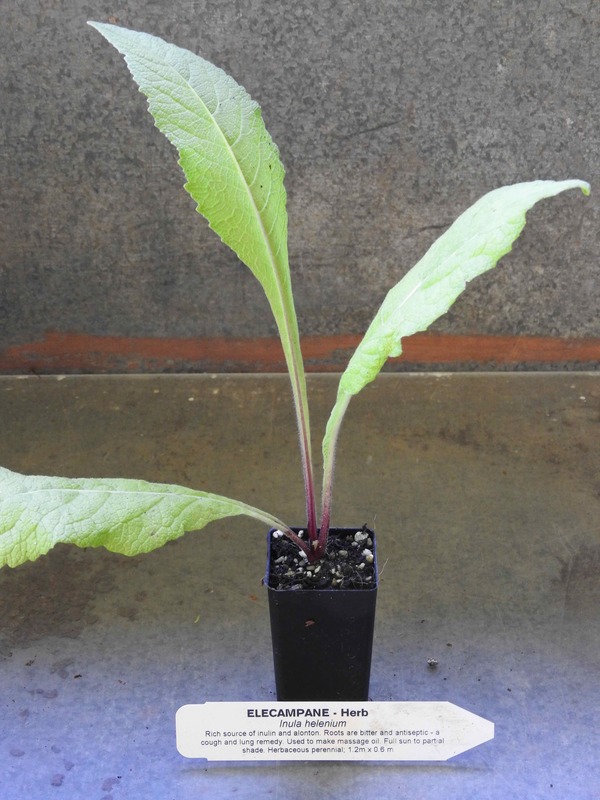 Perennial, deciduous plant growing to 1.2m x 0.6 m.
Be the first to review “Elecampane, plant” Click here to cancel reply.